FMF is a brand that knows how to maximize power for any terrain. The FMF Power Core II silencer is one of FMF’s most popular silencers on the market today. The Power Core II silencer is lightweight and easy to perform maintenance on by using the removable bolts to break it down. 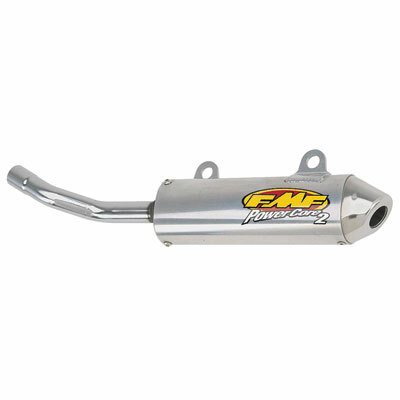 The FMF Power Core II Silencer is designed to perform well in all conditions, and also provides performance enhancements while reducing noise output. Power core silencers give your machine a deep works-like tone with optimum performance. Constructed of T-6 grade 6061 aluminum that can be easily repacked without any special tools.